In case you recall Whatsapp was seen testing the new WhatsApp stickers feature a few months back in July. The feature is now finally official as announced by the brand through a blog post. According to Whatsapp team now a user will be able to get immense chat experience while using Whatsapp. As revealed by Whatsapp team now third-party developers will be able to create stickers for Whatsapp application. So let’s dive a little deep to know more about it. 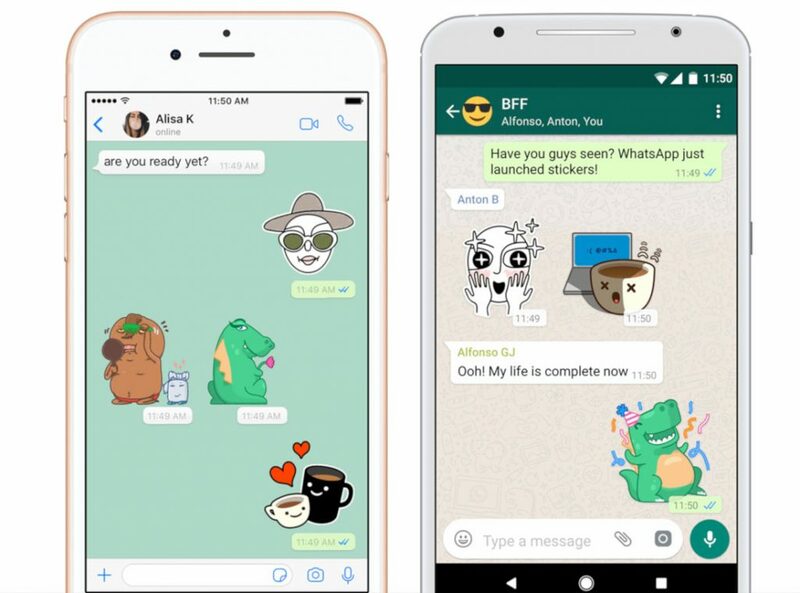 To make this happen Whatsapp has added a number of API’s and interfaces that allow third-party developers to build apps that will add stickers to Android and iOS version of Whatsapp Messenger. Like any other normal application, a user will be able to install it from Google Play Store or Apple App Store and one will then be able to directly send Stickers through Whatsapp app. After a long time of testing, this feature is now rolling out to the Beta version of Whatsapp Android app. To use these Stickers just click on the Emoji button which is next to the text box, select Sticker option next to the GIF section. From there you can easily check the sticker packs and can also add into favorites section. 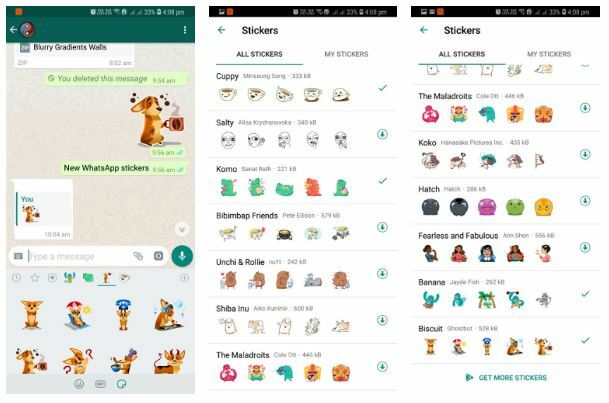 Whatsapp, for now, offers in a total of 12 sticker packs, that can be added by clicking on “+” sign. Koko by Hanasake Picture Inc.
Whatsapp is also said to be working on a fresh feature called Animated Sticker. Whatsapp Android Beta v2.18.329 will offer this collection of sticker while iOS users that are on v2.18.100 will be able to experience it.